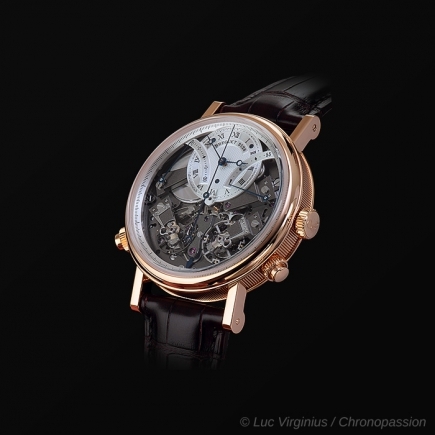 breguet | 171'100 € Tax inc.
Abraham Louis Breguet alive ! 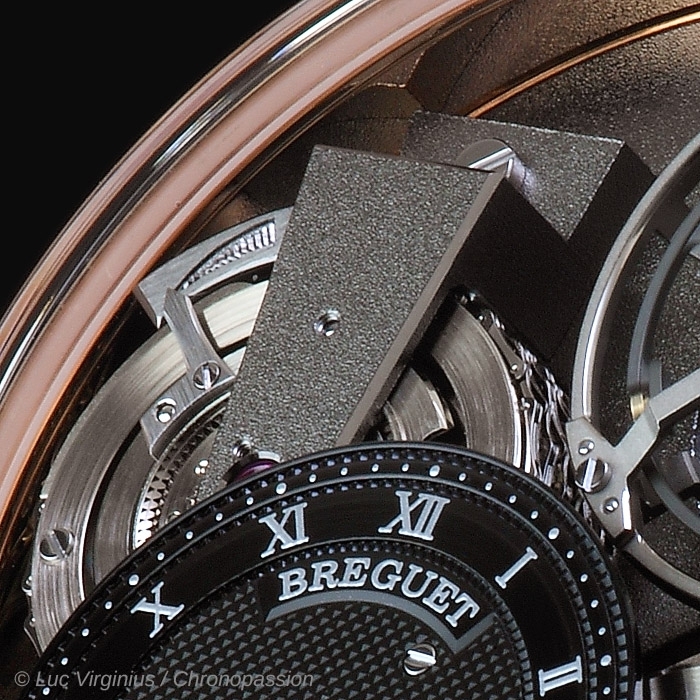 Breguet timepiece 7047 features a spectacular tourbillon mechanism coupled to a fusee-and-chain transmission. 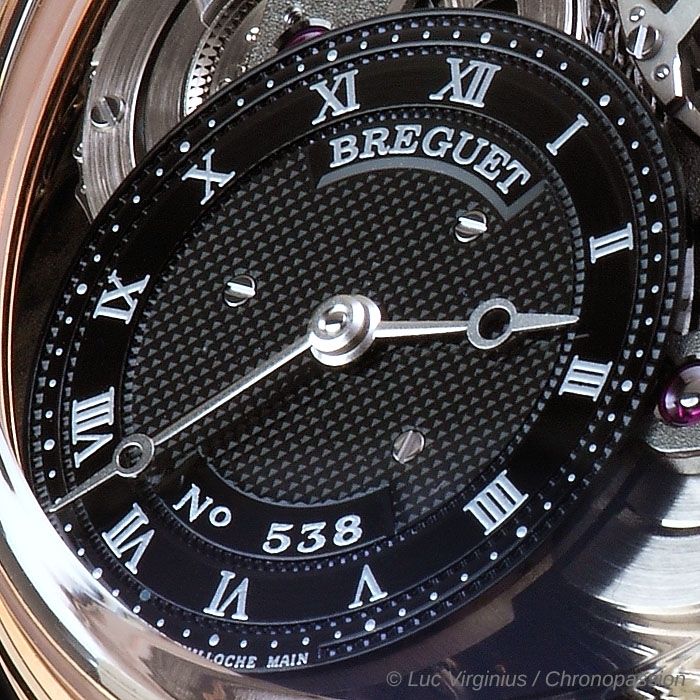 It incorporates the Breguet 569 handwound caliber, whose technical qualities speak for themselves. 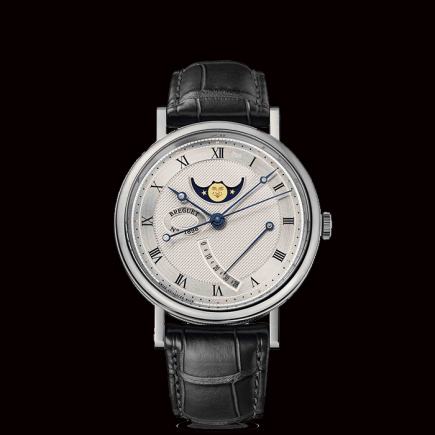 The movement’s many unique features include its power-reserve indicator for which a patent application has been filed. 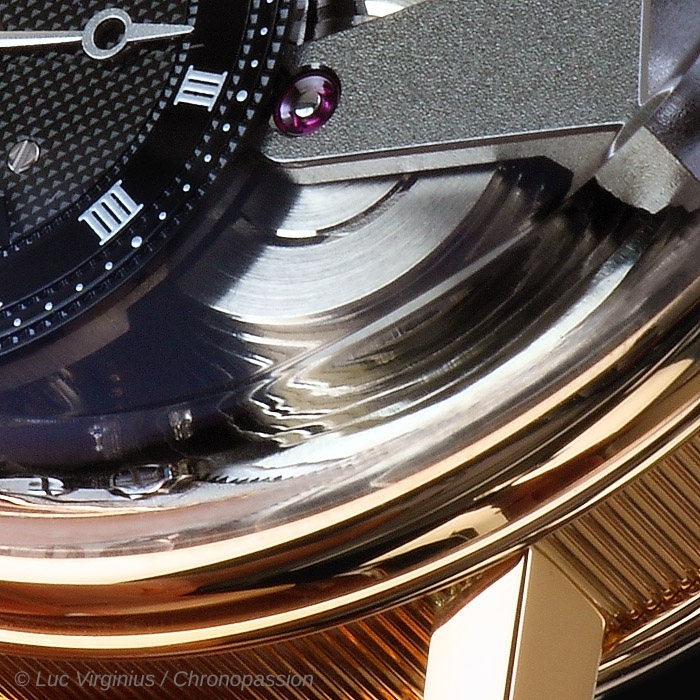 Positioned at 10 o’clock, it is located directly on the barrel drum (the movement’s power source) and features a system of reducer differentials allowing the indication to appear directly on the drum. 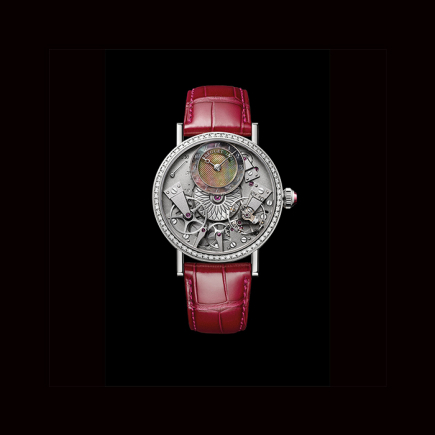 The latter’s large dimensions furthermore enabled watchmakers to fit it with two barrels, increasing the amount of energy stores and provides. 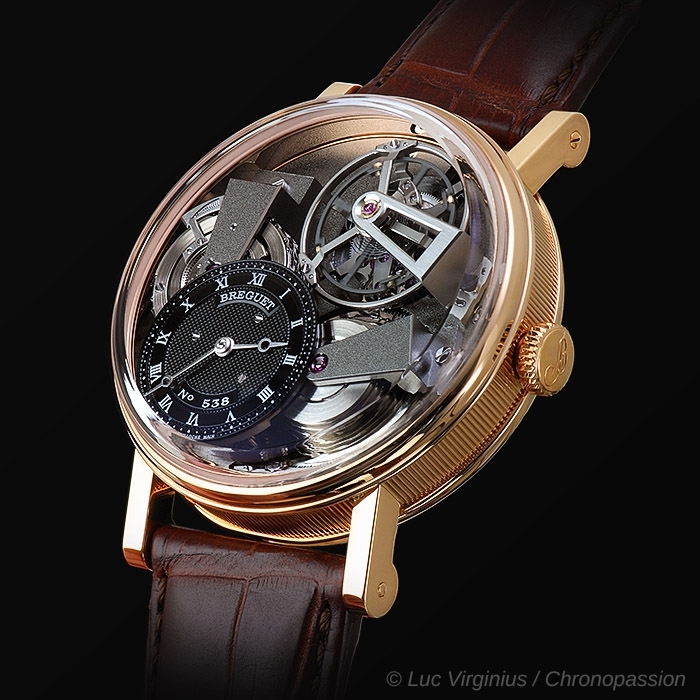 The fusee-and-chain transmission is designed to optimize watch-rate regularity by ensuring a constant torque whatever the actual degree of winding tension. 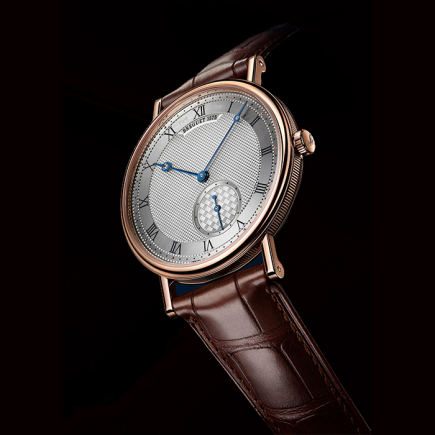 Unquestionably a harbinger of things to come, the Tradition 7047 timepiece nonetheless embodies a full measure of Breguet’s product identity. 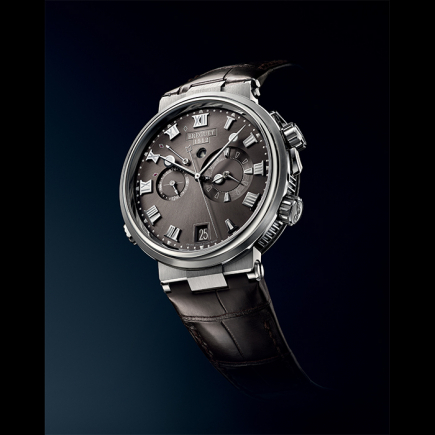 Inspired by the first tourbillon-equipped pocket watches of the early 19th century, it includes such signature features as caseband fluting, round-ended welded lugs and blued-steel Breguet hands. 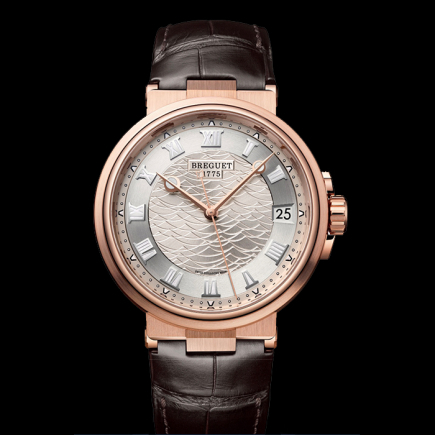 Water-resistant to 3 bar (30 m). 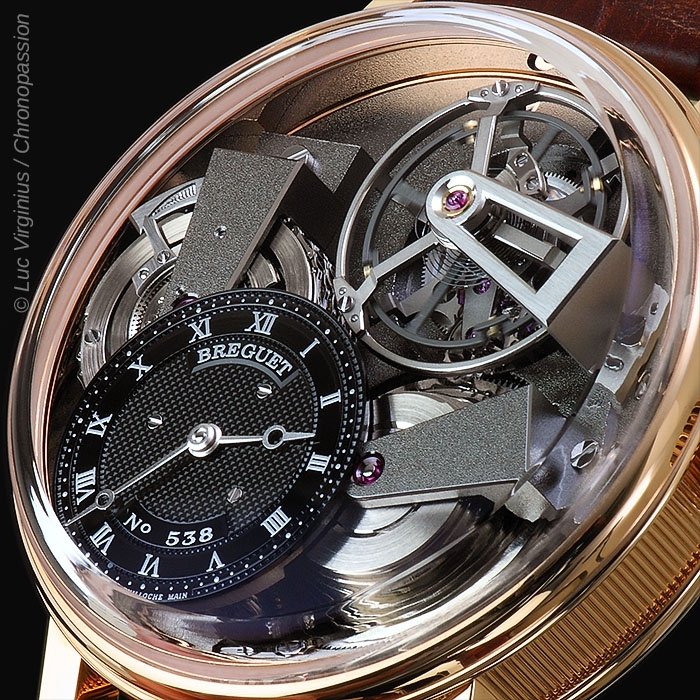 60-second tourbillon at 1 o’clock. 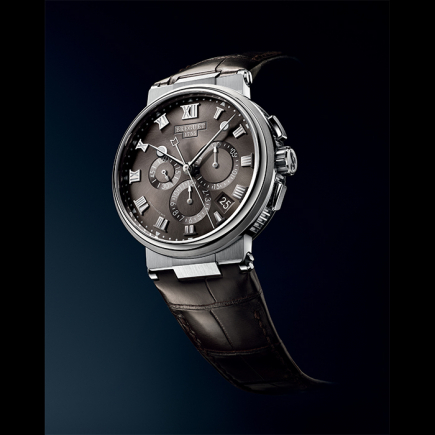 50-hour power reserve with power-reserve indication on the barrel drum. 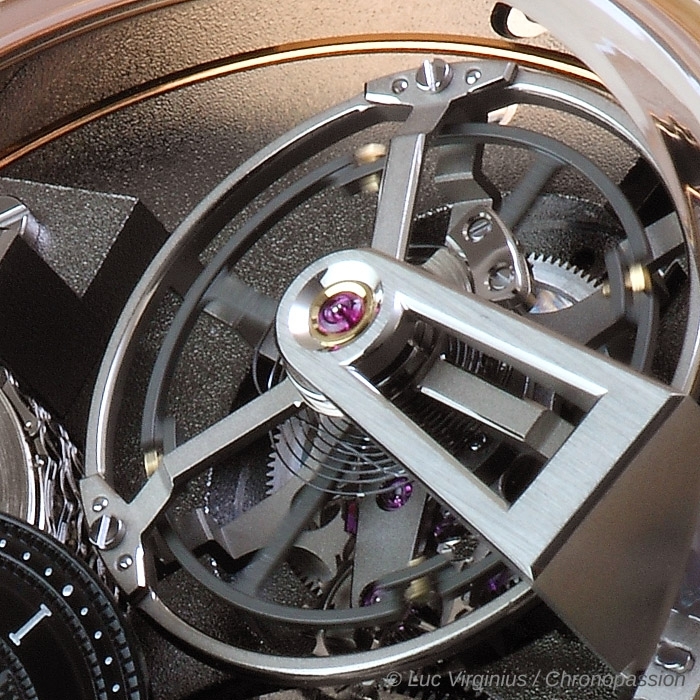 Constant torque ensured throughout the running of the watch thanks to the fusee and chain transmission. 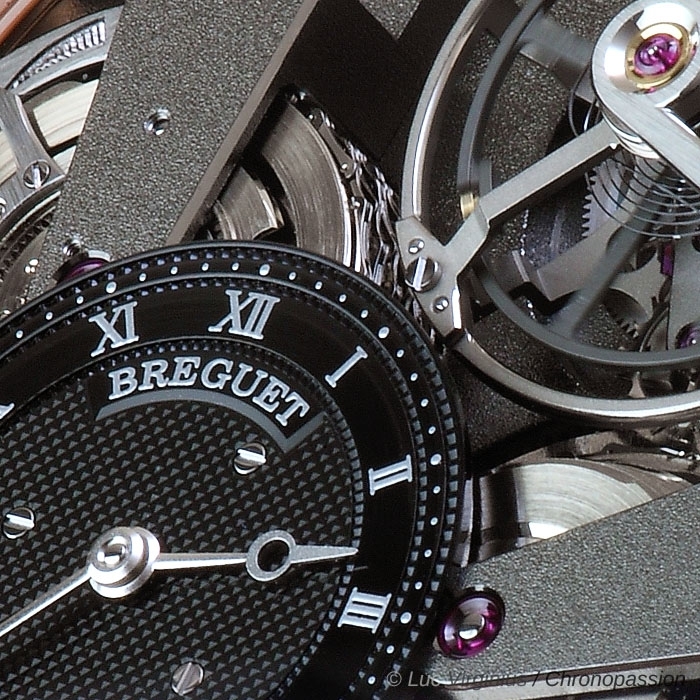 Titanium upper bridge of the tourbillon carriage Breguet type tourbillon bar. 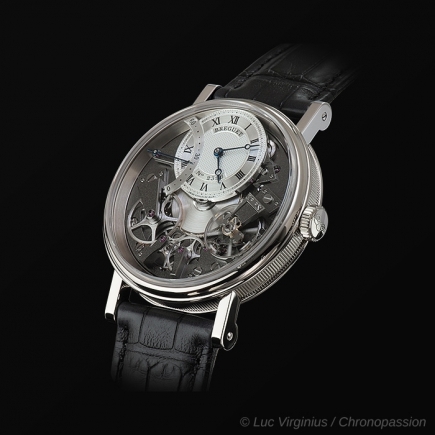 Straight-line Swiss lever escapement. 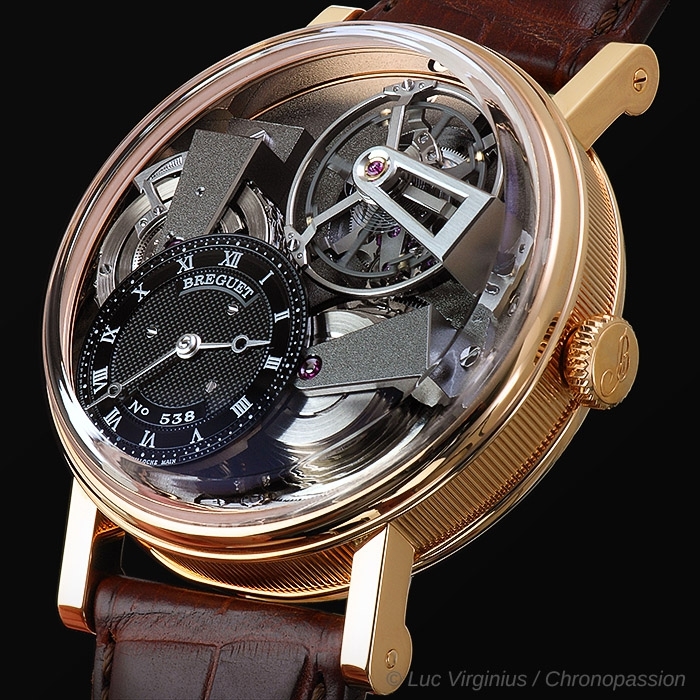 Breguet titanium balance with four gold adjustment screws.